Film personality Sathyaraj who began his acting career in the late 70s in Komal Swaminathan’s troupe ‘Stage Friends’, launched the theatre house. 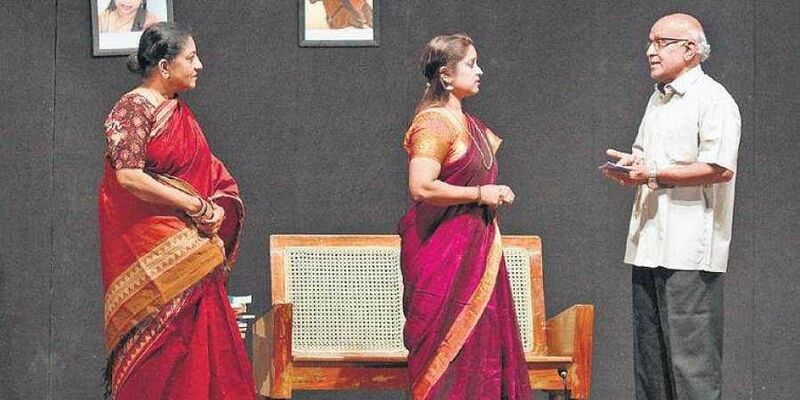 CHENNAI : Komal theatre has done an excellent job... they have not only brought Tamil short stories to stage, but have also managed to create a very beautiful, nostalgic mood by focusing on the smaller details. 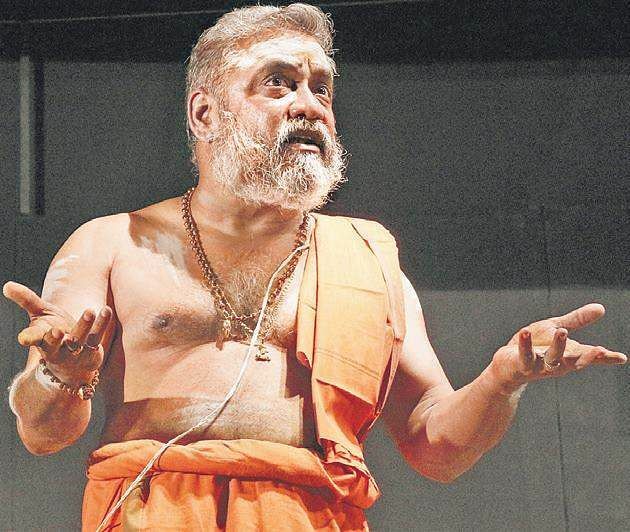 For instance, the ‘Vanga makka vanga’ song which was played before the production, and announcing tidbits about the author and short story before every play were brilliant ideas,” enthused 69-year-old Janakiraman, a member of the audience. Komal Theatre, the brainchild of Dharini Komal, staged its debut production, Ivargalin Sirukathaigal, Ivargalin Iyakkathil, a theatrical adaptation of short stories by five legendary Tamil writers — Jayakanthan, R Chudamani, Kalki, Pudhumaipithan, T Janakiraman at Narada Gana Sabha on Thursday. “My father, Komal Swaminathan was very passionate about the stage. He decided to turn down a job offered to him at All India Radio and took up theatre full time. Starting a troupe in his name is not just a tribute to him, but is also a way of taking his legacy forward,” said Dharini. The play was staged in association with Brahma Gana Sabha and Kartik Fine Arts. Film personality Sathyaraj who began his acting career in the late 70s in Komal Swaminathan’s troupe ‘Stage Friends’, launched the theatre house. “I became acquainted with Komal during the late 70s and he gave me an opportunity to play small roles in his theatre productions. That’s where it all began... I still remember receiving my first salary for acting, `10 from him, just outside the Music Academy. Today, to have launched his daughter’s theatre troupe makes me immensely happy. I am also lucky to have worked with Komal’s grandson Anand in the film NOTA. Life surely has come a full circle,” said Sathyaraj. Amudha Surabi’s editor, Tiruppur Krishnan emphasised that more such Tamil dramas should be staged regularly. “The works of these wonderful authors need to be taken to the younger generation, and more such plays should to be staged,” said Krishnan. The production opened to a full house, murmurs of appreciation, and bouts of warm laughter. The short story-to-stage adaptations directed by Ilango Kumanan, Gowrishankar, Karthik Gowrishankar and Dharini Komal weaved a string of emotions making the audience laugh, feel empowered, and even tear up. “Who knew that 15-minutes of a play could pack a punch! This is the first time I have watched a Tamil play. I have always been under the impression that Tamil theatre is all about a two-hour production with plenty of dialogues. But this was different. It’s quite surprising that authors of yore have penned stories that were ahead of their time,” said Shyam, a 23-year-old. Veteran stage artiste Kathadi Ramamurthy was the star of the evening. “When we approached him to act in one of the short plays, he readily agreed. He said that though Komal was his contemporary, he never had a chance to work with him. So, he wanted to be a part of this production and we couldn’t have been happier!,” Dharini said.